Helios Planetarium with Northern Hemisphere Stardome. 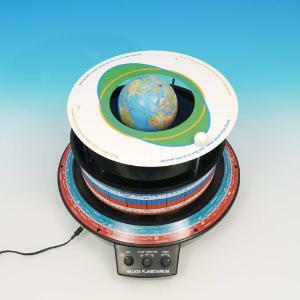 We consider this among the best instruments you can buy to demonstrate the relative motion of planets around the Sun and the movement of the Moon around Earth. On the circular base, model planets revolve at their correct relative speeds around a central sun, and the Moon revolves around the Earth. Planets can be positioned for any year and month by means of the degree scale on the rim of the base. 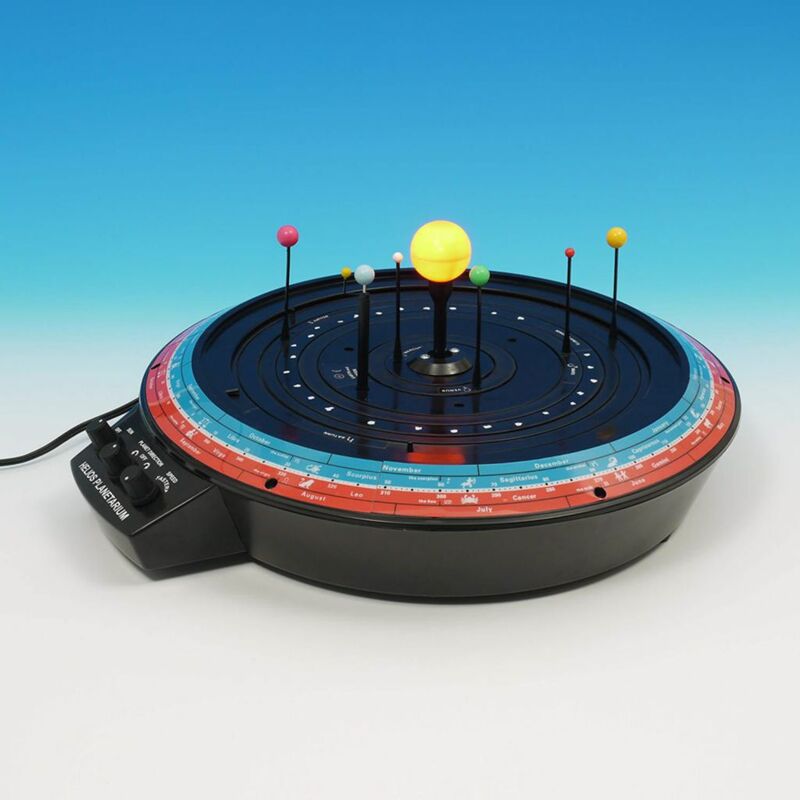 A stardome illustrates the position of the planets among the stars and constellations. The base can also be used to mount the Earth globe and Moon on an inclined axis. When driven, the Earth rotates on its axis, and the Moon revolves around Earth. 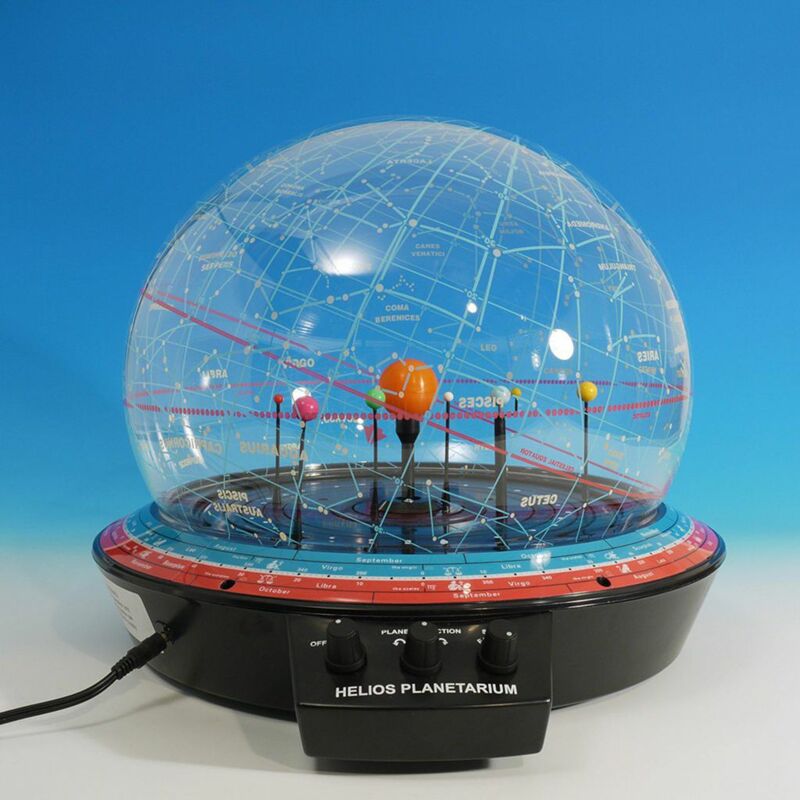 The Helios can be used to demonstrate such topics as day and night, seasons, and with the stardome in position, the stars visible at various latitudes.